"If you want less stuff, more experiences, and more happiness, you need to make space. Follow the advice of leading London minimalist Regina Wong and you'll not only get rid of stuff; you'll also make the space to live a happier life. A worthy addition to the growing canon of books on minimalism and decluttering." "Regina Wong is a fine ambassador for minimalism. Thoughtful, self-deprecating and pragmatic, she shows us how to thrive with less. If you want to simplify and streamline your life, then make space for Make Space on your bookshelf!" "A minimalist guide to minimalism—great inspiration and wonderful to have. 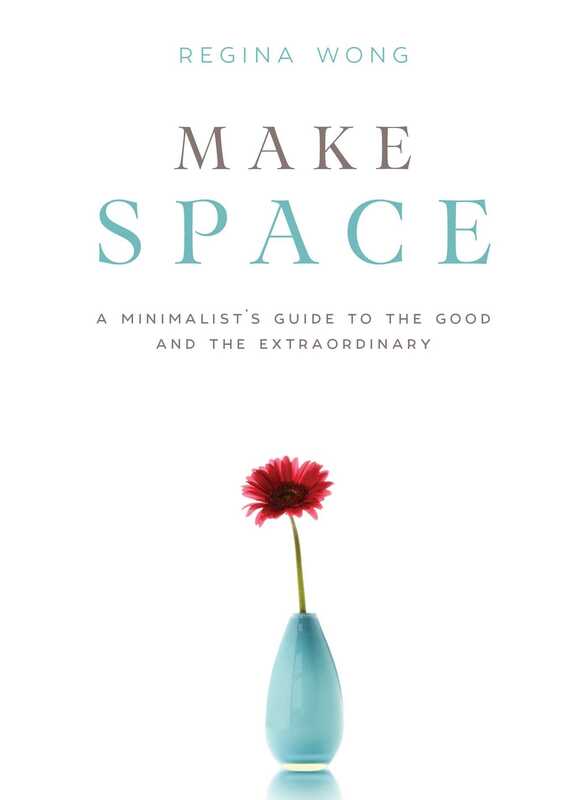 Make Space is a quick and easy read which encourages the reader to extend ideas of ‘Living with Less’ beyond ‘Stuff’ to consider virtual clutter, the over proliferation of virtual ‘friends’, finances, and all aspects of how we live to encourage a simpler and easier lifestyle." "Make Space promotes minimalism as a way to fend off 'stuffocation' and be happier and more productive."